I am not necessarily a fan of prince charming and fairy tale endings but I’ve always been interested with royalty and period films centered on their lives—such as the movie Young Victoria. 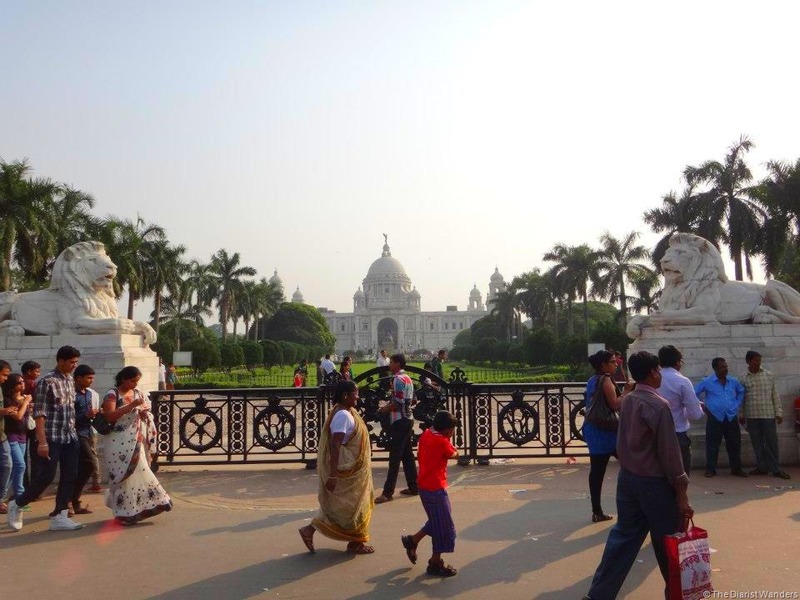 So much so that when I was in Kolkata, formerly known as Calcutta as in the British Raj’s former capital in India, I decided to visit the Victoria Memorial. Before my visit, which was part of my 10-day vacation dubbed “The Great Eastern Journey”, I did not even know about Victoria Memorial. Or what it is exactly. I only assumed that it was, like the Gateway of India in Mumbai, a colonial structure meant to commemorate the power of the British Raj during their reign in India. Julie has been to Kolkata a few times before (since she lived in Bhubaneshwar which was just an overnight train away) and apart from Mother Theresa’s tomb (which I missed coz they’re closed on Thursdays, the day I was there! 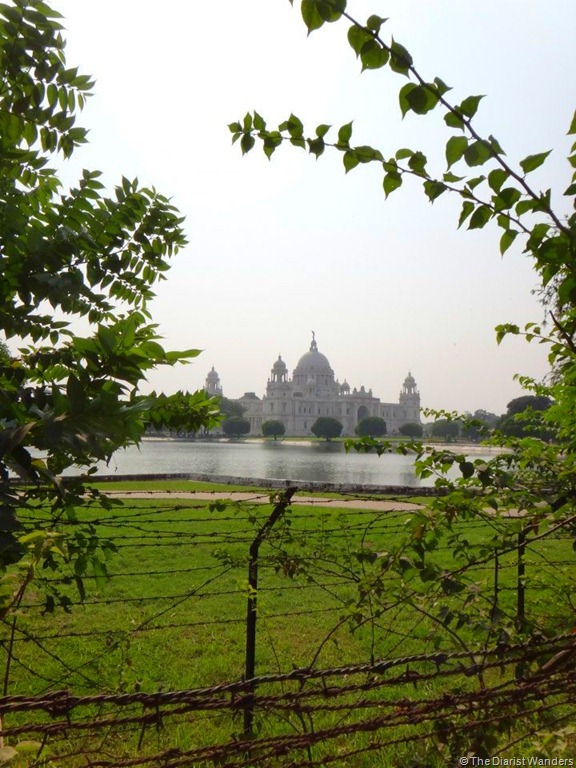 ), the Victoria Memorial is the other place she recommended for me to visit. Jane, my co-volunteer based in Kolkata, gave me directions after we three decided to split up in the afternoon to do our own thing. I can’t remember the directions anymore but Victoria Memorial and other colonial structures and areas are found in the Esplanade locality. I think once you are in Esplanade, tourist spots are basically walkable. You can also ask for directions, which I did. As I said, Victoria Memorial is one of the top attractions and the guava peddler (the red chili and salt mix was too good!) easily gave me directions to just turn right from the main street and follow the road called King’s Way. He said I won’t miss the Victoria Memorial. True enough, I found it. 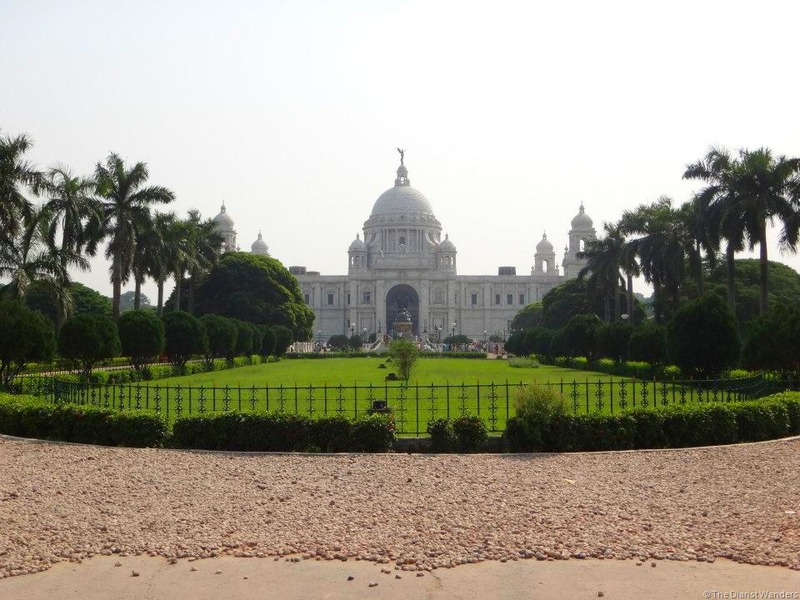 I mean, the Victoria memorial is a massive structure made of what I assume is white marble. It truly is hard to miss. Hehe. Besides, as long as you know how to ask directions, in broken English, Hindi or body language, people in the street can help you find the place you are looking for. Speaking in Hindi, at the entrance gate, actually helped me score a 10-rupee instead of 150-rupee ticket. With my northeast Indian features and a simple “Ek ticket do, saarji!” phrase, I managed to get the local price. And no, it was not illegal as I held a residency permit at the time. So, with that and because it was too hot with too many people in the queue under the scorching sun to enter the Victoria Memorial building itself, I chose to eat my red chilli-ed guava and some biscuits under the shade in the garden, while the birds chirped away. After my food ran out, and realizing that the queue isn’t really getting shorter, I decided to fall in line and wait for my turn to enter the building. 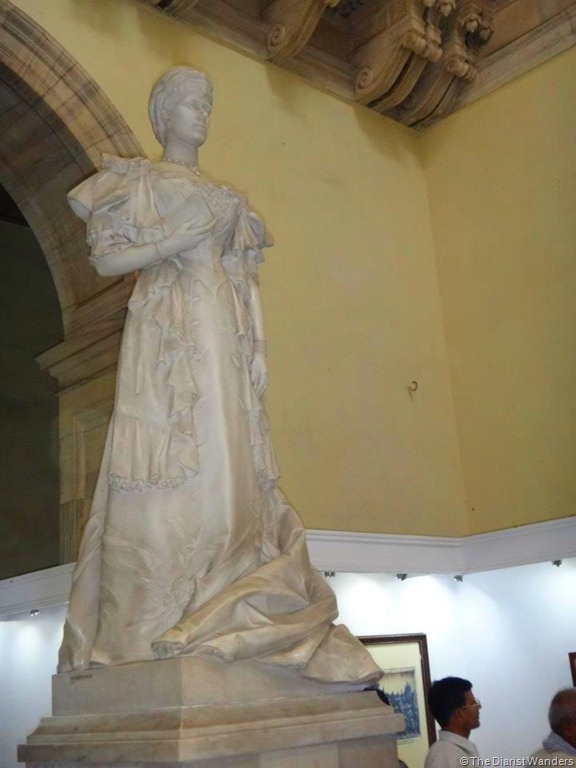 Actually, the Victoria Memorial did not have as much items as you would expect of a museum. And, I didn’t enjoy it much since there were too many people at the same time, walking around in a line as in a procession. And photos are not allowed inside the halls! Not that there was a sign but I saw that the guards meant it when they snatched a camphone away from its teenage owner who tried to reason with them but ended up getting scolded at. Scary. View from the upper floor terrace. Beautiful, isn’t it? After letting my imagination flow, I moved on to the back garden to enjoy a greener and more peaceful part of the grounds and see the Victoria Memorial at a different angle and perspective. I liked what I saw. I mean, I liked it enough to recommend for you to visit it whenever you happen to be at Calcutta. Especially if you are interested in architecture. 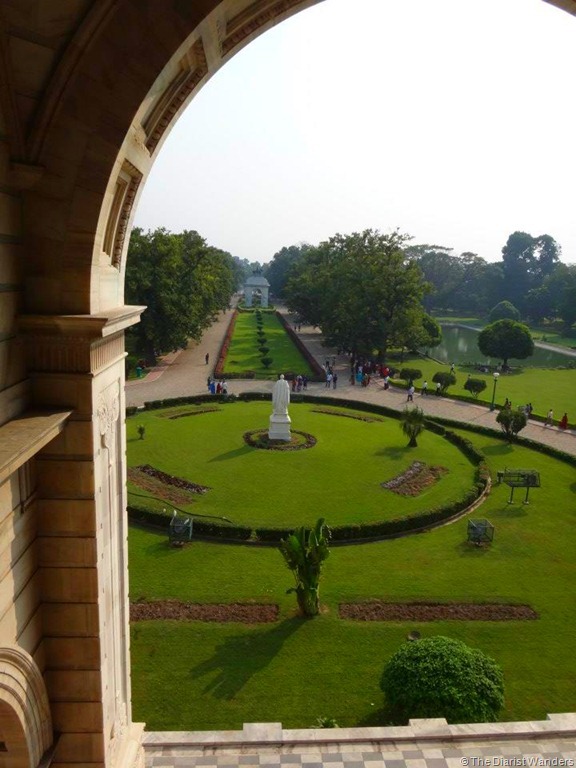 Apart from eating yummy Bengali fish curry, riding the trams and pulled richskaws, might as well add the Victoria Memorial to the list and enjoy the scenery and gardens and be transported to the time of royalties and majesties! 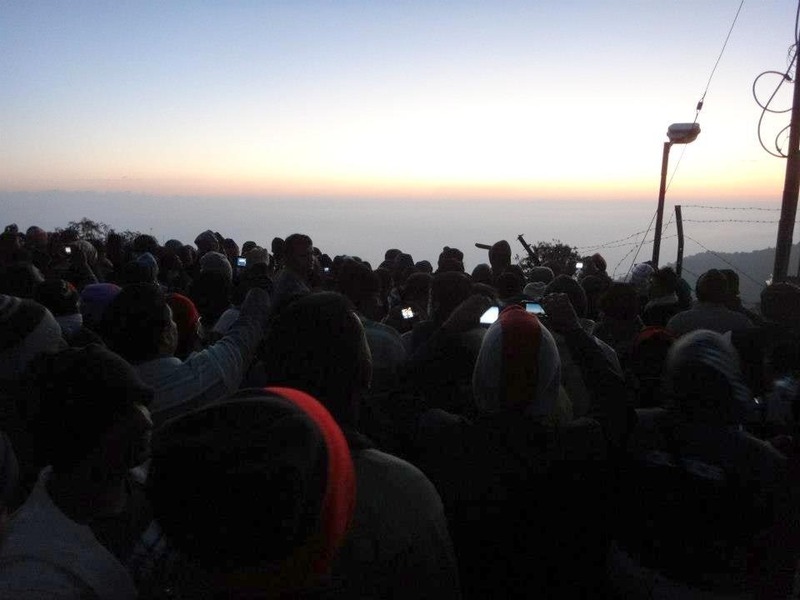 In my CouchSurfing profile, I shared that one of the most amazing things I have seen in my entire life is the sunrise at Mt. Kanchenjunga in the Himalayas. Mt. 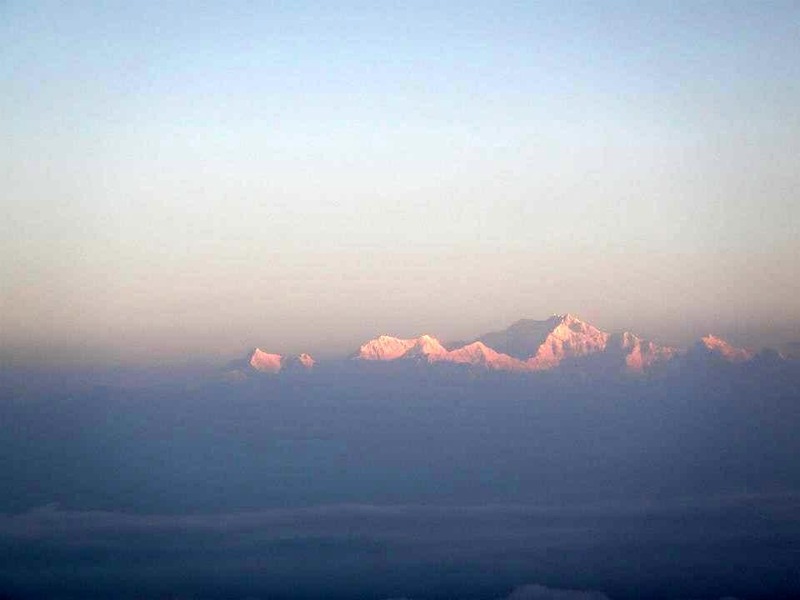 Kangchenjunga is the 3rd highest mountain in the world at 8,586m (28,169ft). No, I did not climb Mt. 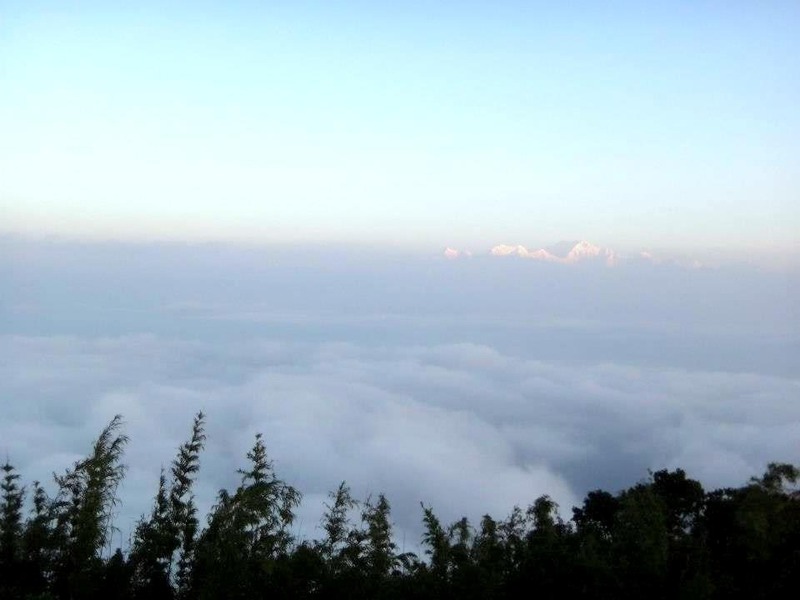 Kanchenjunga but I watched the sunrise from the Tiger Hill in Darjeeling, a popular tea estates tourist spot, in West Bengal, northeast India. 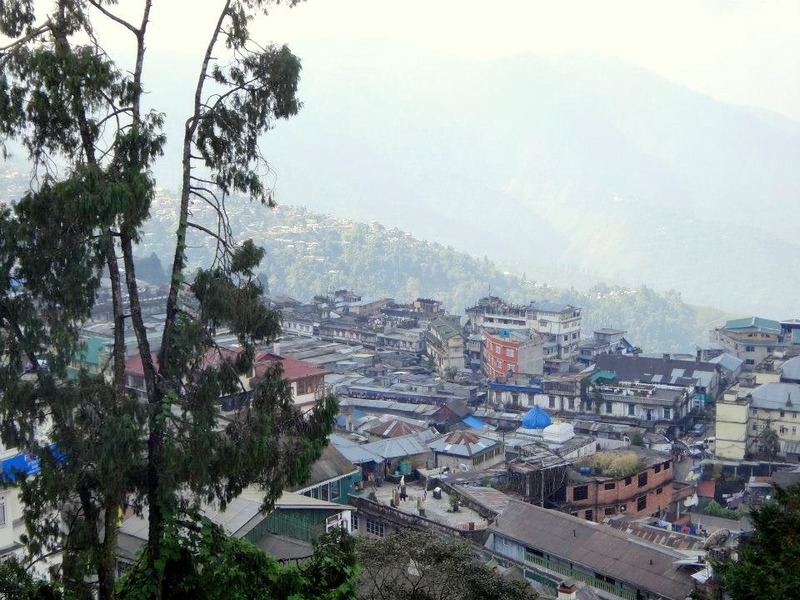 Darjeeling has an average elevation of 2,050m (6,710ft). 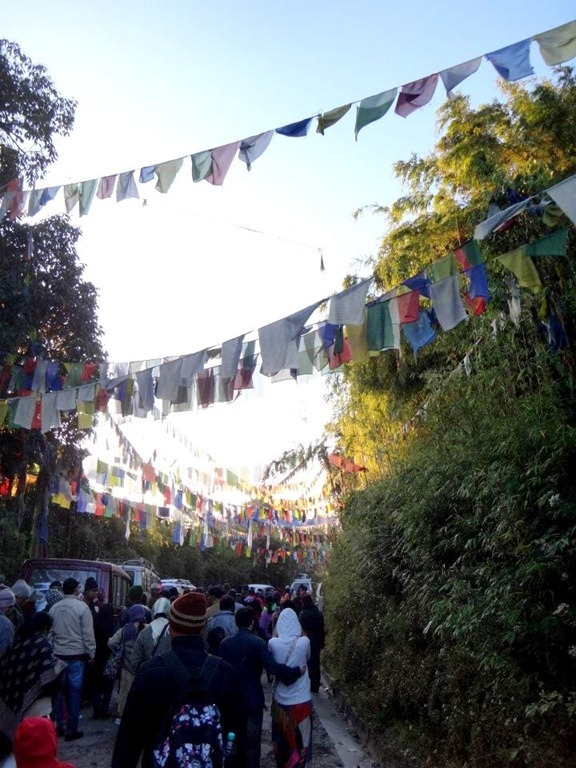 Tiger Hill in Ghoom, where you can find the world’s highest railway station, is about 11kms from Darjeeling. In order to see the sunrise at Kanchenjunga, Julie (my VSO co-vol, friend and travel buddy in India) and I had to wake up at bloody 3:30AM at an “I-don’t-know-how-cold-nut-I’m-freezing” temperature! 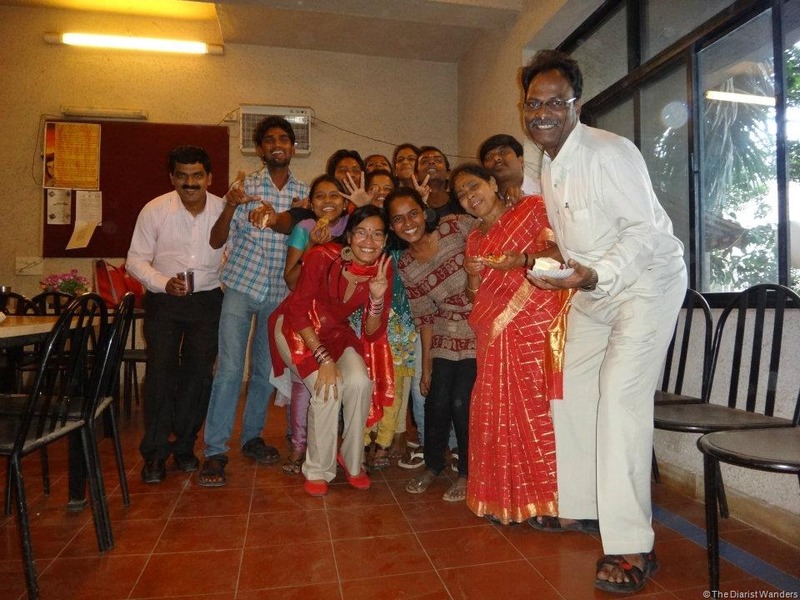 Being in India for a while by then (October, 7 months in! ), we didn’t really expect them to be serious about the pre-arranged shared jeepney to Tiger Hill, the viewing point, to go by 4:00AM! But yes, they did and even called us up before 4 to make sure we were on our way. 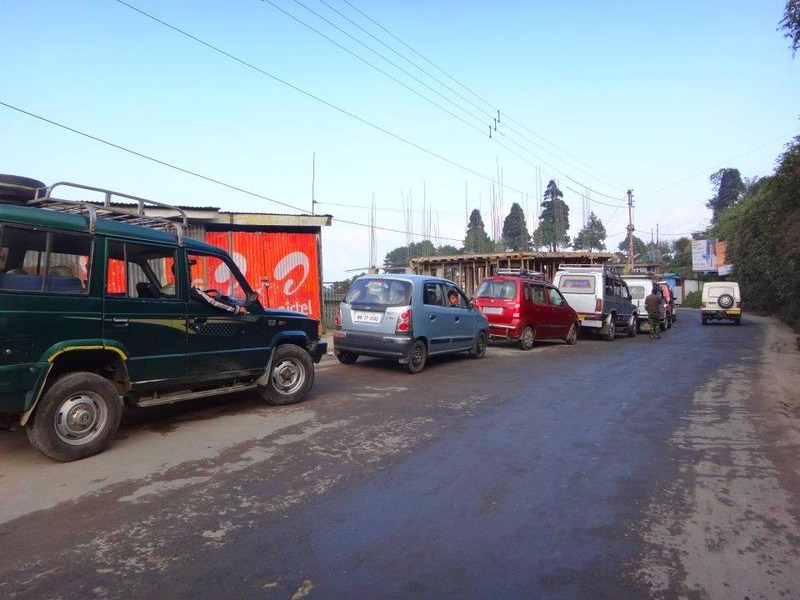 With the number of shared jeeps, vans, cars and other vehicles heading that way—there’s like about 200 vehicles at the parking lot and that’s a conservative count—the traffic was really bad especially when it was already nearing Tiger Hill. Upon alighting, we were told to just go to the ticket booth to pay for the Rs 10 entry fee to the hill’s “viewing deck” area. Since we thought we could rough it out anyway, Juls and I decided not to go for the extra Rs 20- and Rs 30-rupee tickets for the viewing deck that’s inside a taller building. Tiger Hill Viewing Deck and “Viewing Deck” – take your pick! We joined the multitude of jacket- and sweater-clad (sometimes with bonnets too coz it’s too freaking cold!) of local and foreign tourists first on the right side of the building for an earlier view of the sunrise, you know, ala-Breaking Dawn! Breaking Dawn with strangers. And electronic devices! I thought that was it! That we were unlucky to see Mt. Kanchenjunga because it’s too cloudy! But I was wrong! 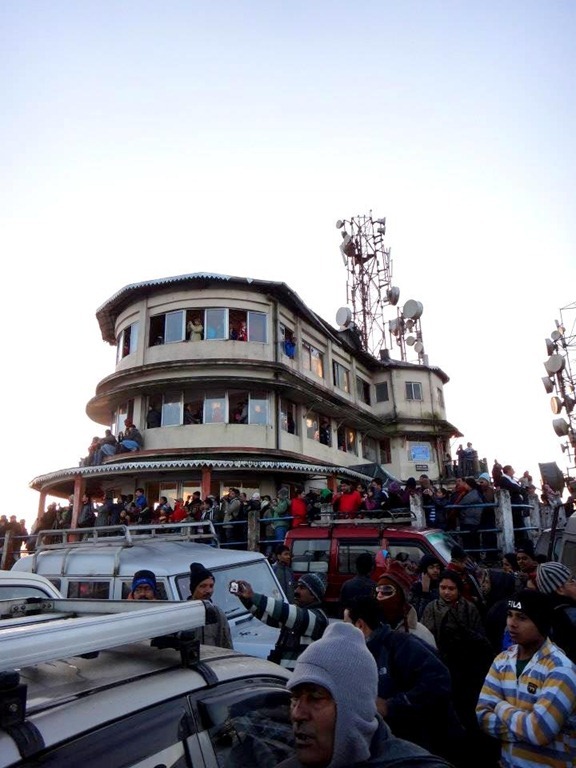 Because, the sun’s rays are to hit Kanchenjunga in the opposite side of the viewing deck. Juls was the one who saw it just when we were about to walk down! Up in the clouds! Cotton Candy, anyone?! Forgive the photo quality here (click to enlarge; I can give you original resolution ones if you’d request) but I assure you, the white snow-capped mountain peaks of Kanchenjunga turning into varied hues of orange is indeed a sight to behold. It was an amazing moment for me. Like, really amazing. It’s not everyday that we get the chance to witness a natural beauty, some say a testament of God’s gift to humanity, and be blessed with the feeling of a better day unfolding before our eyes, sharing it with strangers from all walks of life. Sunrise at Mt. Kanchenjunga is amazing, isn’t it? After the sunrise,I think Juls and I descended from the main viewing deck and found our way to the shared jeepney. Yes, the day has just begun as the Rs 150 tour is good for three points of interest in Darjeeling (Tiger Hill, Ghoom Monastery, and Batasia 360 degree loop), stories of which I will tell in my next posts. How can you not be amazed? For now, I leave you with memories of my time with Mt. 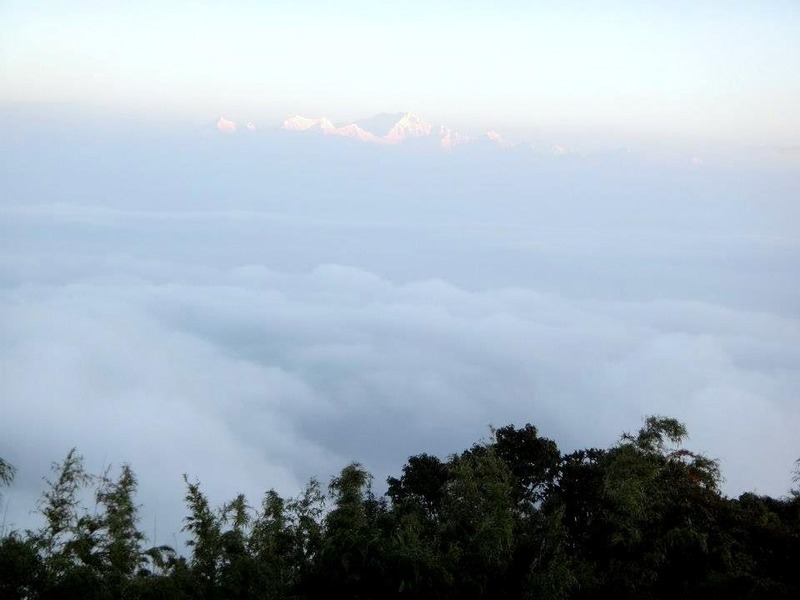 Kanchenjunga and experiencing cloud 9, perhaps figuratively and literally! Happy wandering!